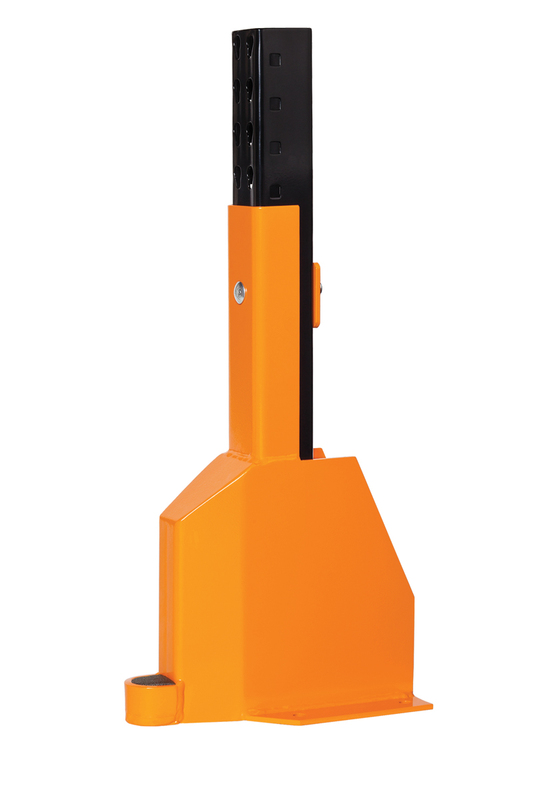 A heavy-duty version of our DAMO GUARD with its own distinguishing features. Designed for high traffic areas, it's built to firmly guard the base of an upright. The DAMO SUPER GUARD has an extremely high resistance to impact and is bolted to the ground with five anchors. The standard height of this product is 24", but if you wish to protect more, it can be built 36" or 48" high. This process offers durability in a longer-lasting finish. 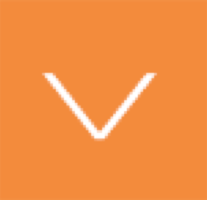 Our standard color is orange, but special colors can be requested. 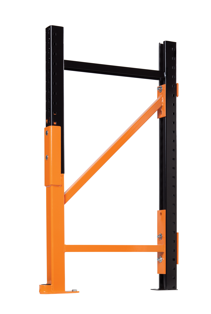 Our protection products are meant to help you prevent pallet rack damage before it happens, eliminating the need for costly replacement and contributing to the improvement of safety in your warehouse. We recommend starting with areas where forklift traffic is heavy, at the end of aisles where there is a greater risk of contact with the racking system. Our robust line of protection units offers a simple and inexpensive way of safeguarding your investment and protecting your employees. Lead time for Damotech products is short. Units are usually ready to ship in less than two weeks. The installation process is easy and quick since unloading is generally not required. These reasons make our protection products a smart solution and a sound long-term investment. Our protection products can usually be installed by our certified installers or your maintenance crew in under 15 minutes. 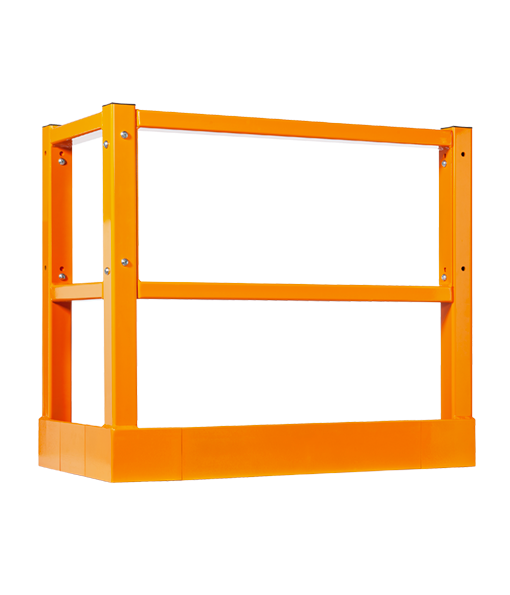 It's a simple and inexpensive way of protecting your racking investment against forklift damage. Built with 3/16" thick structural steel bent plate. This products comes with 5 high shearing capacity Hilti anchors. Ideal where pallets or lift blades often rub-up against the racks. This protection will fit on a Frazier bullnose rack system or any other type of rack. Powder coated for durability. Standard color is orange. Standard height is 24" but this unit can be ordered in 36" or 48". Can Damotech products be installed in cold storage? Yes. Our products perform quite well in cold storage and freezer environments. They are robust, durable and quick to install. Yes, all of Damotech products can be galvanized. Our protection products come with a 10-year manufacturers warranty. Are Damotech products suited for warehouses located in sesimic zones? Yes. When specified, all Damotech repair and protection products are built with a seismic foot plate and shipped with seismic anchors. Permanently repair and protect damaged pallet rack columns. 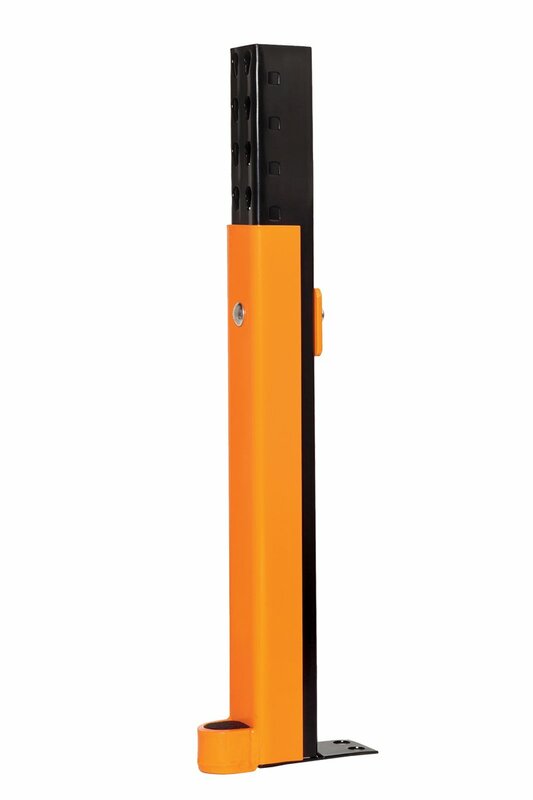 Want to know more about the DAMO SUPER GUARD, schedule a protection assessment or get a quote?